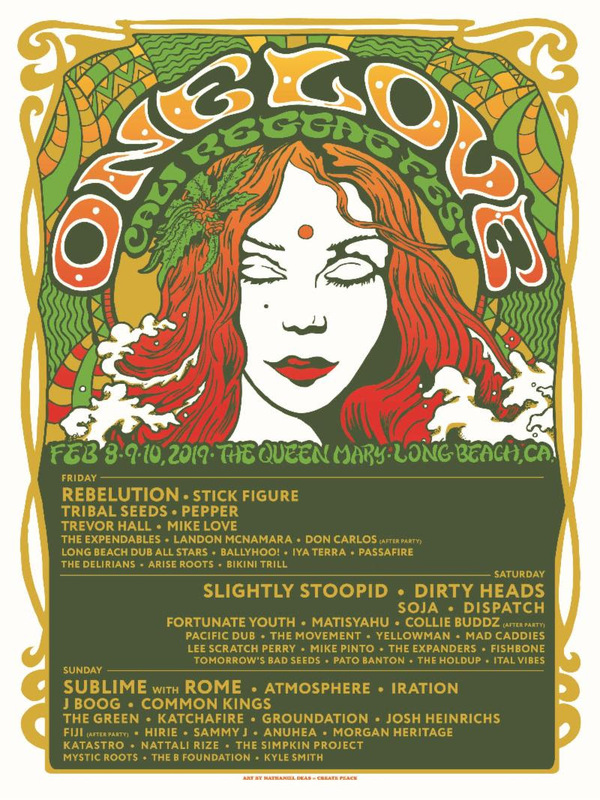 One Love Cali Reggae Fest will take place Feb 8-10, 2019 at the Queen Mary Events Park. Flyer courtesy of Goldenvoice. Passes go on sale Saturday, Nov. 17 at noon. More information and tickets can be purchased on the website here.